If I could, I would open a restaurant. I would open a restaurant that would have a casual, yet hip atmosphere, and played great music. My restaurant would incorporate aspects from the restaurants and cultures I’ve experienced all over the world. As with all dining establishments, location is paramount. Mine would be found just on the shoulder or the busiest roadway I could find. Perhaps an interstate, but an on/off ramp in a major metropolitan area will work just as well, too. Cars driving by at high speeds, regularly, and at all hours, would be the key to my success as they tend to leave clouds of exhaust, dust, and gravel in their wake. It would be “rustic-chic” with dirt floors and plastic yard chairs with folding tables. Maybe it would have a roof over head, or maybe it will just be a tent. Perhaps a tarpaulin stretched out, and gently flapping in the breeze would be nice. Regardless, I would need a heating furnace that would run constantly so that it was roughly 100 degrees in my restaurant year round. I would need a few chickens and maybe a stray dog or two that would walk around aimlessly and underfoot while the customers were trying eat so that it would have the proper Southeast Asian/Indian authenticity that has so often been missing in the American dining experience. Music helps create the ambiance, so I would surround my guests with an eclectic mix of French lounge music, German industrial “thumpa-thumpa” house music, Australian sing along bar chants, and for good measure, a Japanese jazz singer standing next to a grand piano, singing American standards and incorrectly pronouncing every “R” and “W” in every song. Often all of the types of music would be playing simultaneously, so that visitors truly experience what a crowded international airport terminal can feel like. To make sure it had the right African flair, I would make sure there were as few lights on the exterior as possible. The parking lot would be an acre or so away from the front door, and in between I would plant trees and shrubs for the patrons to navigate through. I would also position a sound system so that as they were stumbling blindly through darkness with their hands held out in front of them, desperately looking for the door, the faint cries of hungry animals, mixed with quiet whispers of men mumbling about wallets, money, and guns could be heard. A terrific atmosphere will only do so much for business. It is the menu that will bring people back again and again. Let me tell you, there will simply be no competing with my restaurant’s food in both variety and quality. Start with the drink menu. I would have a wide variety of specialty drinks. Without question, cobra whiskey from Vietnam would be our “go to” ingredient for cocktails. If that isn’t for you, there would always be Le Tigre and Kingfisher beers from Southeast Asia and India. Looking for a soft drink? Of course, we would offer the highest qualities Inca Cola, Fanta, Boysenberry and Thumbs Up you can find. Perhaps I’m overselling the alcohol and sodas. If your tastes tend to be more natural, there’s always sugar cane juice over ice, just the way Sugar Cane Mary makes it in Cambodia, complete with go-cart motor powered grinder and garden hose spout. Don’t worry about the massive plumes of gray smoke coming from the engine. It only adds to the ambiance as you dine. Speaking of dining, my restaurant will serve only the finest, freshest ingredients. Our African roasted goat’s neck, will come straight from the goats we slaughter each morning in the alleyway out back. Your mouth will water as you pick it off the vertebrae. Our Chinese and Korean cubes of dog meat on skewers with roasted peppers, and pineapple chunks (because we are all about fusion) simply can’t be missed. Are you in the mood for something a little less exotic? How about trying the baby octopi grilled over an open flame, Japanese style? It’s delicious! There’s always the American favorite, but with a twist – hamburgers served tartar style. Yes, you’ll taste the freshness when you bite into one of our very own cold, raw, ground beef burgers, just like mom would have made, if she was French. For desert, we would have the freshest of Japanese seaweed and candies that contain no sugar at all, but retain all of the flavors of the fermented vegetables used to make them. We also offer the highest quality dried and candied fruits from central Asia, lightly coated in all the salt needed to properly dehydrate you immediately upon ingestion. You’ll actually feel your mouth go dry with a single bite. If the weather’s hot, and you’re looking for a cold treat, why not finish your meal with an English pea flavored popsicle in the shape of a human tongue? They’re very popular in China. In the mood for something a bit more savory and warm? How about keeping with the Chinese tradition, and enjoy a warm and buttery ear of corn after your meal? Yes, all of this can be enjoyed in my restaurant, as you are waited on by the finest British wait staff. Sit comfortably in your plastic chair, as you are completely ignored by the staff, and when you must insist that they take your order, they will only do so begrudgingly, and please, do understand that if they happen to get your order wrong, it really is your fault. When you are finished with your meal, our French check service will never arrive with your ticket. You will sit, possibly for hours. When you find the French attendant you can call them over and request the ticket, but please, never ask for the ticket to be split. It’s simply too much to ask of someone with a calculator. Pay in full on one card or with cash, and even though the tip is included in the price, please leave a little something extra regardless of the quality of the job that was done. Conclude your evening, as you blindly run, terrified, through our wooded parking lot, back to your vehicle. As an added touch, you’ll find that our South American parking lot attendants will have fully customized your vehicle with flames painted on the hood, and decal of the Virgin Mary on your back windshield. For good measure, and that special Indian panache, multicolored cloth fringe will have been added around edge of the vehicle on all sides. You can use the ride back home as an opportunity to reflect on your amazing dining experience and to plan your next visit. 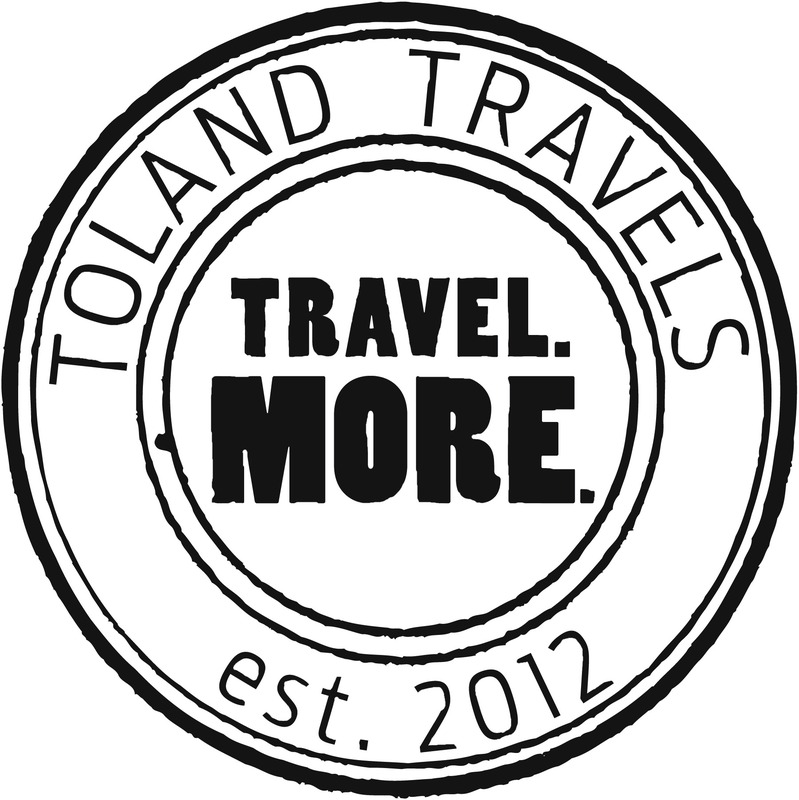 Get the Toland Travels App for iPhones. It’s awesome!